The week began with the fall of the Asian markets. 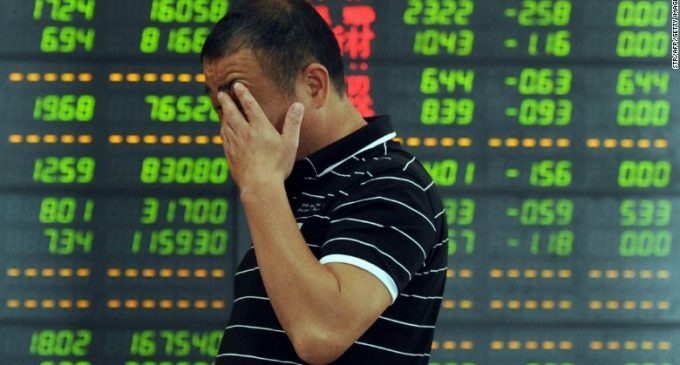 The Chinese indices Shanghai Composite and Shenzhen Composite fell by 3.7% and 3.8% respectively. Last week there were holidays and the sites did not work. At the same time, the Asian stock market has suffered losses. Last week, the Bank of China decided to reduce reserve requirements by 1 point. Changes will enter into force next week. It is expected that such a move will “bring freedom” to 1.2 trillion yuan. Of this amount, 450 billion will be used to pay off the debts. In September, China’s foreign exchange reserves fell by almost 1% to $ 3.087 trillion. The forecasts predicted the amount of $ 3.1 trillion. This value appeared to be minimal since last summer. Business activity in the Chinese service sector is growing. The corresponding index has grown to 53.1 points, which is the maximum in the last 3 months. PMI has risen to 52.1 points. Indicators greater than 50 mean the growth of business activity. The Hang Seng (HongKong) has slipped by 1.4%, showing a loss for the fifth time in a row. Tencent Holdings securities have fallen by 2%, the securities of Country Garden Holdings have declined by more than 6.5%. The financial sector also has distinguished itself. The papers that were growing throughout the day also fell. Shares of AIA insurers have fallen by a third per cent, China Life Insurance- by 0.6%. Bank of China has lost more than 2.5% of the value of its securities. The Kospi Index (South Korea) has slipped by 0.6%. Despite the drawdown, Samsung Electronics’s capitalization has increased by 0.6%. Japanese markets are not functioning due to public holidays. We will continue to monitor the state of the Asian financial markets.